Chengdu is the capital of Sichuan province in Southwest of China. Many tourists and locals flock to Chengdu for trying hot and spicy Sichuan food as well as visiting cute giant pandas. I am not a big fan of Sichuan cuisine as I am not able to take the food which is served with hot and spicy of chili oil and peppers. The moment I take Sichuan food, I will immediately feel the burning sensation on my lips, tongue and also my throat too. 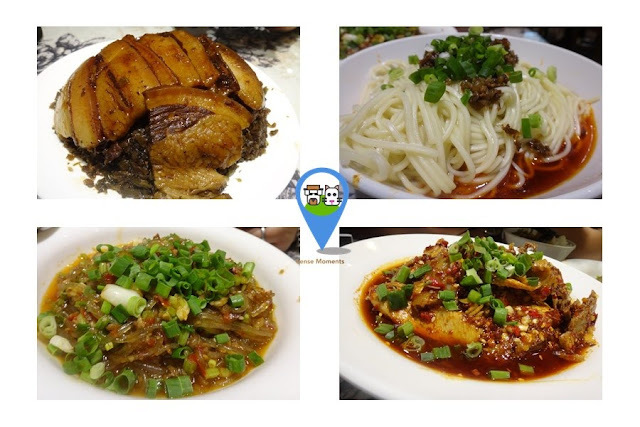 Sichuan cuisine is normally served with hot and spicy sauce of chilli oil and Sichuan pepper, which can burn your lips and throat sensation. 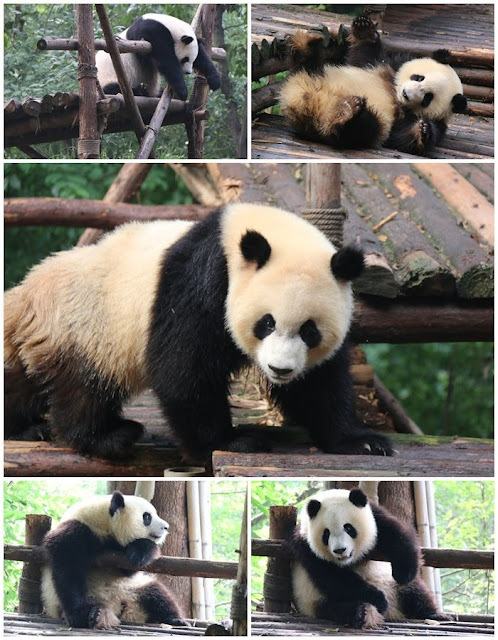 Chengdu Panda Breeding Research Base Centre is the most anticipated that I really want to visit in Chengdu. It is located about 10km away from Chengdu downtown. There isn't direct subway transportation to the research base except you can find many taxis (cab) and buses to Chengdu Panda Breeding Research Centre. Giant pandas love cold weather thus, they are released from their indoor cages in the early morning for their play, socialization with other mates and eating bamboo. 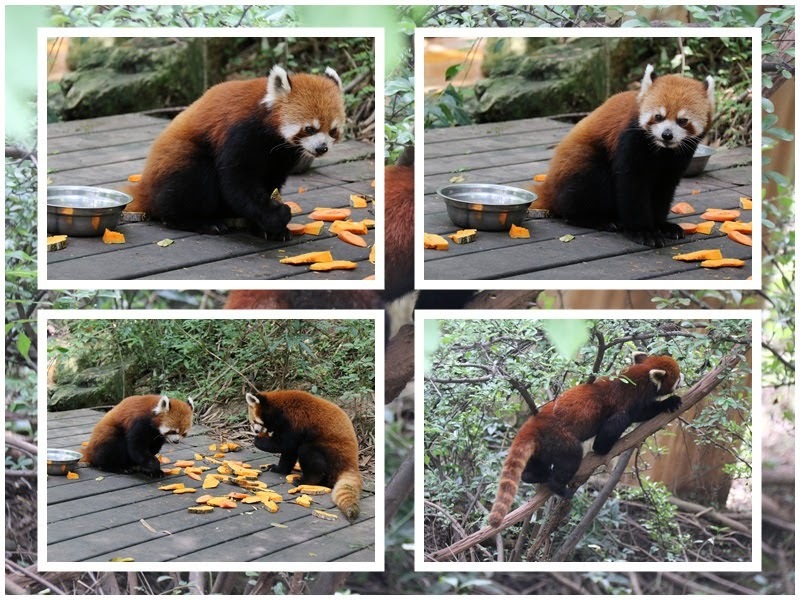 Therefore, you need to get to Chengdu Panda Breeding Centre by 7:30am. The research base is very gigantic hence, you need to plan your day. You can hop on the golf cart which is available after the ticket entrance to the research base. 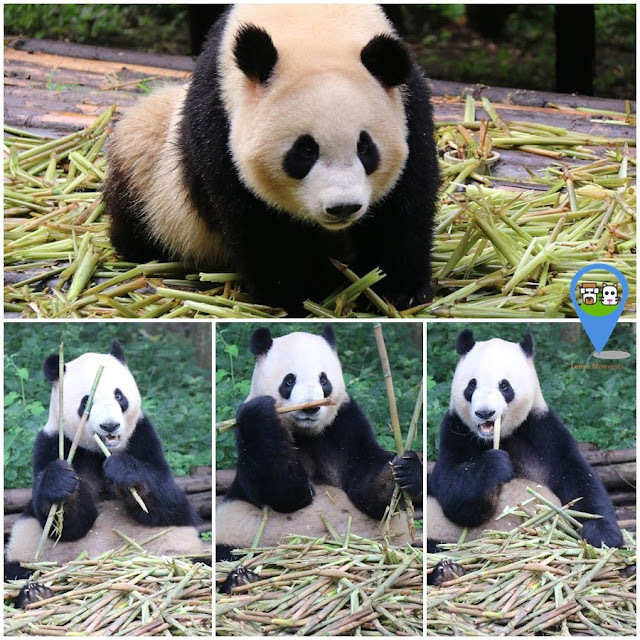 The ticket entrance for the research base is CNY60 (USD10) per person while taking the golf cart ride costs about CNY10 (USD2) per person to get to the end of the research base where pandas are located. Then you take your time to walk around and down the base before heading out the exit. I spend about 5 hours at the base while strolling to look for pandas and enjoying taking their photographs. The research base is designed into a man-made natural forest or suitable habitat for giant pandas thus, you don't find high wired fences but it is quite a huge distance between the humans and the pandas. Therefore, you need to bring a long zoom lens in order to get a good quality photo of pandas. Leshan Giant Buddha (乐山大佛 in Chinese as Lèshān Dàfó) is the tallest and largest pre-modern stone statue in the world. Leshan Giant Buddha stands at 71 meters (about 233 feet) at height and it is listed as a UNESCO World Heritage Site since 1996. The Leshan Giant Buddha is a statue of Bodhisattva, which is located to the east of Leshan City, Sichuan Province at the junction of three rivers, namely Min River, Qingyi River and Dadu River. The construction of this Leshan Giant Buddha statue was led by a Chinese monk named Hai Tong in the year 713 (during the Tang Dynasty) and was completed by Hai Tong's disciples in the year 803. During the craving of Leshan Giant Buddha statue, a lot of stones were being removed from the cliff of the mountain and were thrown into the river. As such, the current of the strong and fierce water river has been tamed into more calm and safe for ships to pass by. 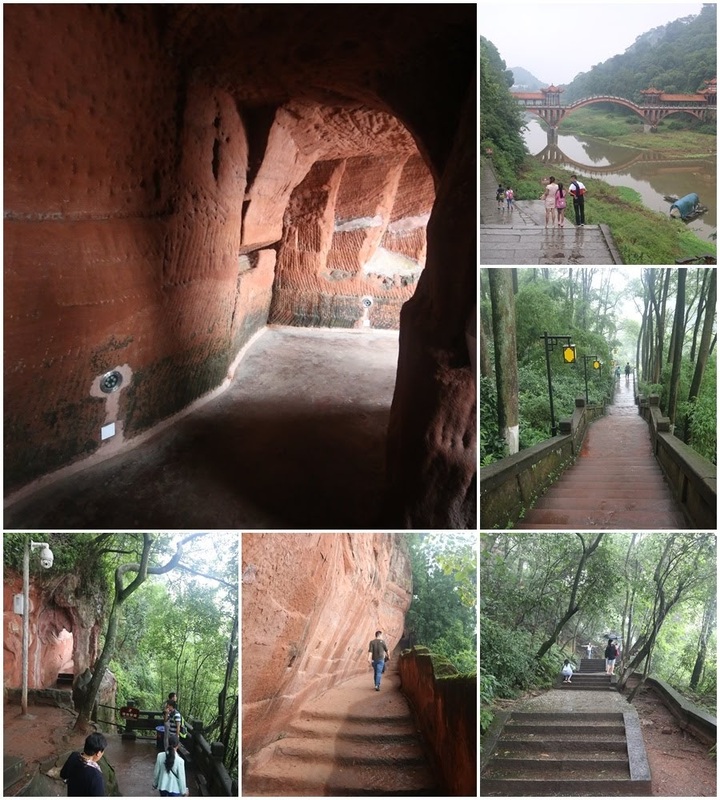 The most amazing and uniqueness of this architecture of the Leshan Giant Buddha stone statue is the drainage system and it is still working until now. The drainage pipes and hidden gutters are built into various places on the body in order to remove the water from the rain and prevent flooding to occur. There isn't much to do in Leshan city except visiting the most popular of Leshan Giant Buddha. Leshan Giant Buddha statue is situated near to Chengdu city thus, you can plan for a day trip by taking a high-speed train from Chengdu. The high-speed train is traveling at about 186 mph (300km/h) thus, you are able to get to Leshan Giant Buddha within an hour. 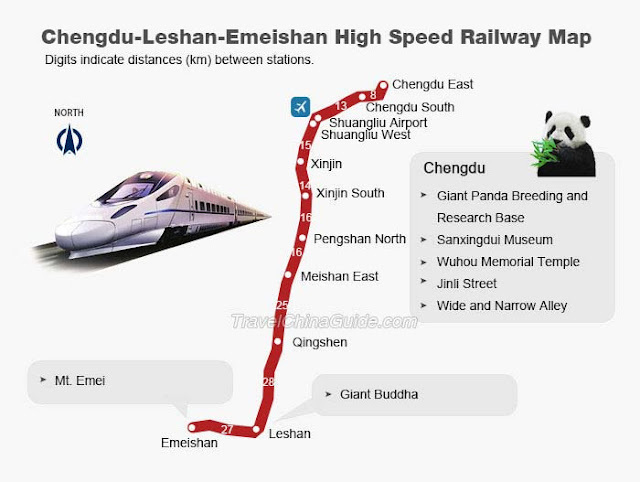 The frequency of high-speed train is at every hour to and fro Chengdu to Leshan Giant Buddha between 7am to 5pm daily. You can purchase the return high-speed train ticket at Chengdu East or Chengdu South train stations a day or several days before your trip to Leshan Giant Buddha. A single journey high-speed train ticket is about CNY90 (US$14) per person (for 1st class train seat) while CNY50 (US$8) per person (for 2nd class train seat). It is our last day at Harbin. Our flight is scheduled at night and there isn't much activities to do in Harbin downtown except shopping and food. Unfortunately, I am not keen for shopping. I prefer to spend much time visiting historical attraction sites. 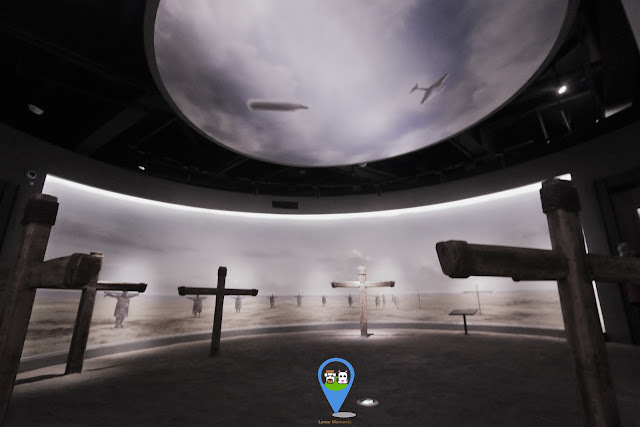 As we searched online, we found an interesting museum which is located about an hour drive from Harbin downtown. This museum attraction isn't popular among foreign tourists due to the location since it is only accessible by private car service, taxi/cab and public bus transportation. However, we still want to visit this museum. 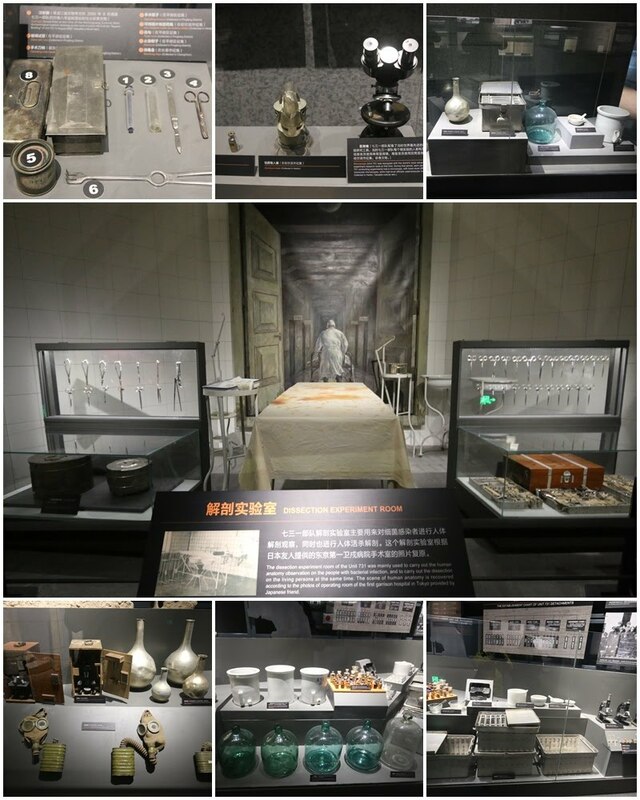 This museum is known as Unit 731. 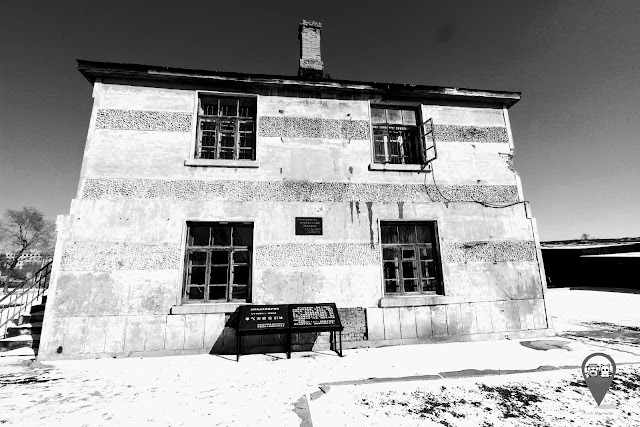 Unit 731 was a biological and chemical warfare research and development which was based at the Pingfang district of Harbin. The biological and chemical research unit used human beings for various cruel experiments. Vivisection were performed on men, women and children after infecting them with various diseases and removing their organs to study the effects or disease on the human body. Conducting experiments by taking captives outside, dipping various appendages into water and allowing their limbs to freeze and many more. I didn't know anything about the history of Unit 731 before this visit. It is an educational for me to learn and understand the history during my three hours visit. As we read and look at photos or evidences, we feel terrified and sorry for all the prisoners and victims at Unit 731. Address: 25 Xinjiang Dajie, Harbin.